This is card #597. 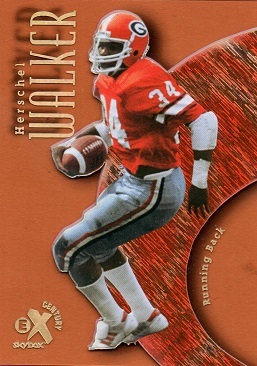 I'm only 3 away from my goal of 600 different Herschel Walker cards in the Hoard. Depicted is a 2013 Fleer Retro E-X Century Essential Credentials Future card of Herschel Walker. The card is serial numbered 15 out of 16. 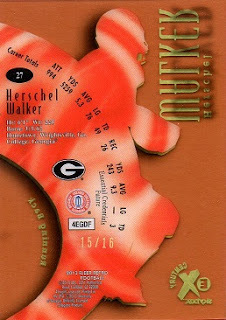 Labels: 2013 Fleer Retro Essential Credentials Future.